You may return most new, unopened items within 60 days of delivery for a full item refund. We'll also pay the return shipping costs if the return is a result of our error (you received an incorrect item). On voluntary or customer error returns customers are responsible for the return shipping cost and or outbound shipping costs and fees. If an order received free shipping at checkout, and the return takes the total under the free shipping level, original actual shipping cost will be charged to the order and subtracted from the return. Likewise, any shipping charges paid on an invoice are non-refundable. You should expect to have your refund processed within one week of inTank receiving your return package. Funds are normally transferred back to your account in 1-10 business days depending on your banks policies. Please have your Invoice number on the outside of the box, or include the Return Authorization slip inside the box. Please use an outer shipping box to protect the products packaging/box. Please use proper void fill. Any damage in shipping is your responsibility. If damage occurs in shipping and inTank can fix that amount will not be refunded. If inTank can not repair the damage no credit will be issued. Use a shipping service with insurance and tracking to avoid this. If your order included free shipping and the amount of your return takes the total under the free shipping limits, original shipping charges will be subtracted from your return. You are responsible for the return shipping charges. We will inspect all contents upon arrival for damage and product use. In most cases inTank does not charge restocking fees. inTank may charge restocking fees to cover damage or if repair is needed to the item. If you have any questions please ask before returning. 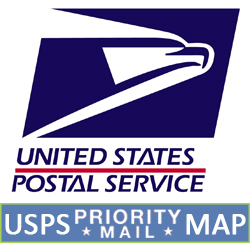 PO BOXES can only be used when choosing USPS or dedicating UPS SurePost service. FREE Shipping: Free shipping is offered over the advertised order dollar amount level. While fulfilling an order inTank will calculate the best service which may not be exactly the service chosen during checkout. Free shipping does not come with a guaranteed time service. inTank is happy to offer products worldwide. inTank ships with USPS the majority of the time but holds the right to ship with any service available. 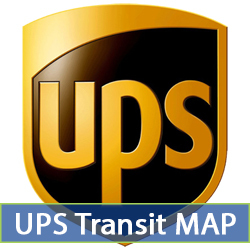 CANADA- inTank has negotiated rates with UPS and total shipping prices are lower than USPS with higher quality service. The default method of shipment to Canada is UPS and is overall cheaper that USPS with a higher level of protection. UPS may charge a duty fee while USPS rates have it built in. The buyer is responsible for any duty owed at time of delivery. Items are marked as a gift and valued at a less than retail cost. Buyer assumes all responsibility to local and or national customs duty fees, taxes and VAT. inTank is not responsible for packages held in customs or responsible for any taxes, duties, fees or local regulations. inTank will provide a tracking number once the item is shipped. After it leaves the United States of America inTank is not responsible for delivery times. inTank is not responsible for lost items from the buyers local postal service. inTank is not responsible for product we do not produce. We resell products and the manufacture of that product holds responsibility. Be aware that electrical voltages vary by region, inTank holds no responsibility for any product with an electrical plug and will not replace product used on 220 voltage using an adapter. Buyer is responsible and holds risk for incorrectly using all products. If you have not received your item in a timely matter after shipment has been made please check with your local post office. Packages are sometimes held for pickup if first attempt of delivery can not be made. inTank and the USPS can only offer a tracking number. When the package arrives at the customer local postal system to above parties are no longer in control. inTank has an excellent record of international delivery. 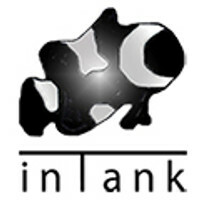 If an item arrives broken customer and inTank will work towards a conclusion depending on package condition. inTank is not responsible for broken items by USPS, UPS or the customer's local postal service.